Every now and a headset comes along thats make you very happy. The Astro A40 made Rich a happy bunny and the Astro A40 TR’s (Tournament Ready) make me very happy indeed. I love a well packaged product and the A40’s are no exception, it doesn’t just make a lovely swoosh as you first open the box but everything is easy to pull out so you can begin the setup. Thankfully this is another simple task, using possibly the sturdiest digital optical cable in history, connect that to the Xbox One and MixAmp Pro, as well as the USB cable, then it’s just a case of plugging the inline cable into the MixAmp. Once you have made sure the headset is assigned to your controller and you have assigned the right outputs in the Xbox Settings you are good to go. (Chances are the settings are already ok, but it’s always worth double checking in case of any troubleshooting issues). Some people arent keen on the face there is a wire involved, but it hasn’t been a problem for me as I’m one of those people who sit closer to the TV, it’s a shame that the inline mic is nowhere near a sturdy as the optical cable, so it’s worth taking extra care with it. Comfort levels are at a premium with this headset, I could wear them for hours! Being able to hook up the headset with my iPhone is great as they sound great, but this isn’t the style of headset I’d wear out and about, as Rich has mentioned in a previous review, there are some Astro Bluetooth earphones that are much better suited. 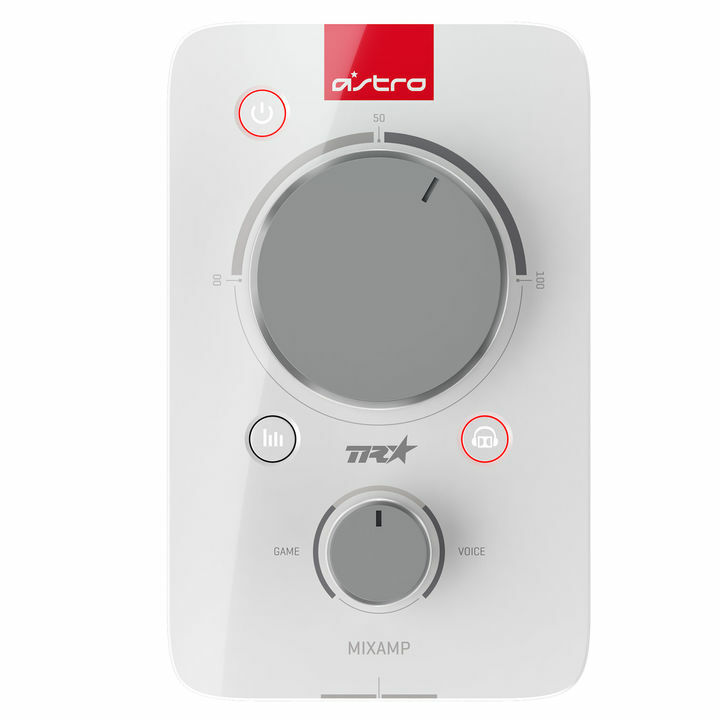 I’m a huge fan of the MixAmp Pro TR, it looks very sleek and is an absolute breeze to use. There are only three buttons and two dials and I can swap things around in an instant. The main dial is for the volume while the smaller one gives me control over the balance between voice and game, I’ve noticed at the high end of both dials the audio appears to cut out, it’s more of an observation as you’d be unlikely to have them turned up that far. Aside from the power button, which allows you to switch between PC and console there is the EQ setting button which switches between the four presets you have defined, the final button sorts out the processing for the Dolby Surround Sound. Swapping the Mix Amp Pro over to a PC is also really simple, and allows you to configure lots of details to improve your experience. 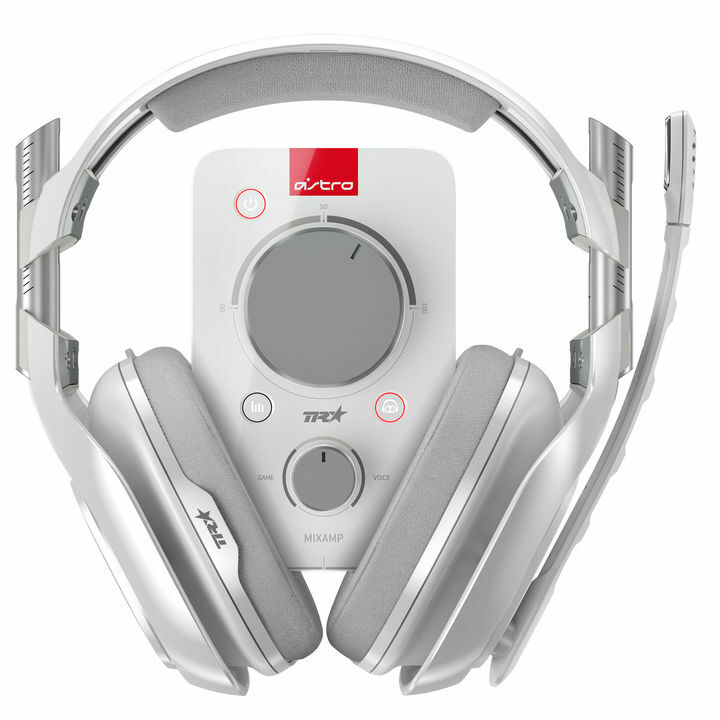 Elsewhere on the MixAmp is a 3.5mm port to allow you feed your headset into a stream, broadcast or recording. One of the coolest features is the daisy chain port, this allows you to link up an infinite number of MixAmps for tournaments or livestreams. I’ve only been able to test it with one other but it was easy to setup and worked brilliantly. Using the Astro Command Centre, you can configure a huge amount of options. Initially my party had trouble hearing me, but after adjusting a few settings it was no longer an issue. I’ve been quite impressed with the microphone, when playing with friends I’m always heard clearly. It’s also detachable for the times when I just want to listen to music.The command centre lets you make changes to all of your EQ presets and also download extra presets for your favourite games, with a press of a button your settings are saved and you can swap back. The beauty of this set is that it’s also compatible with PC, the MixAmp actually acts as it’s own sound card making it perfect for recording podcasts. Another tick over Turtle Beach is how easy the hardware worked with the PC. 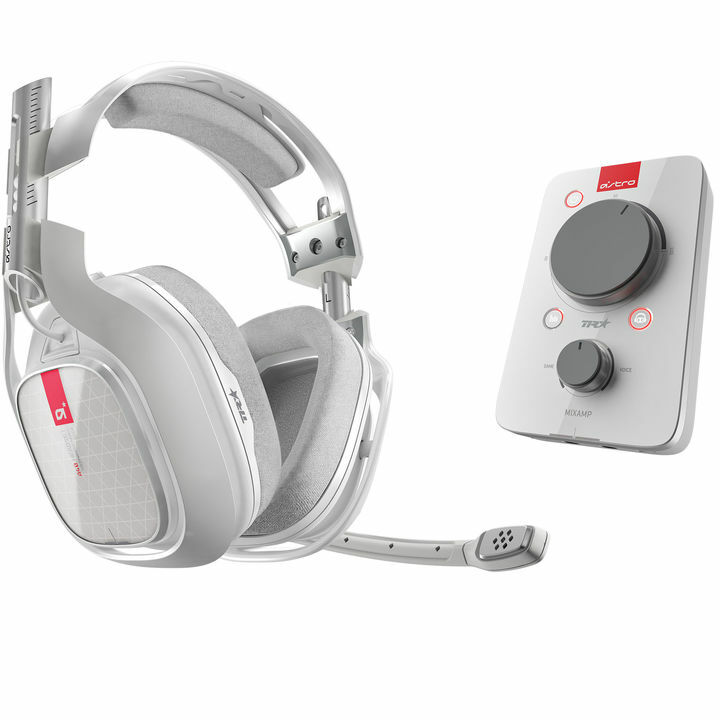 The standard kit for the A40 TR suffers from a lot of sound leaking, not great when you want to have you volume up high, but rather handily this set is compatible with MOD kits. The MOD kits completely mix things up for the headset as they include things like, Noise Cancelling Ear Cushions, Voice Isolating Microphone, Padded Headband & Closed Back Speaker Tags. Not only do they added extra comfort to the set but the noise cancellation and improved microphone has to be a good thing. I really wasn’t sure what to expect with my first Astro experience, I had always heard good things and after my time with them I have to agree, the price might put some users off but if you play games as much as I do it’s a small price to play for a rather excellent headset.